The Great Quarter Race! A New Record! 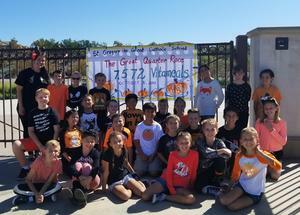 Students celebrated Halloween by participating in the annual Great Quarter Race. The goal of this service project, in partnership with Cross Catholic Outreach, was to provide food for hungry children around the world. A total of 7,572 quarters was placed on the promenade by students dressed in orange and black. 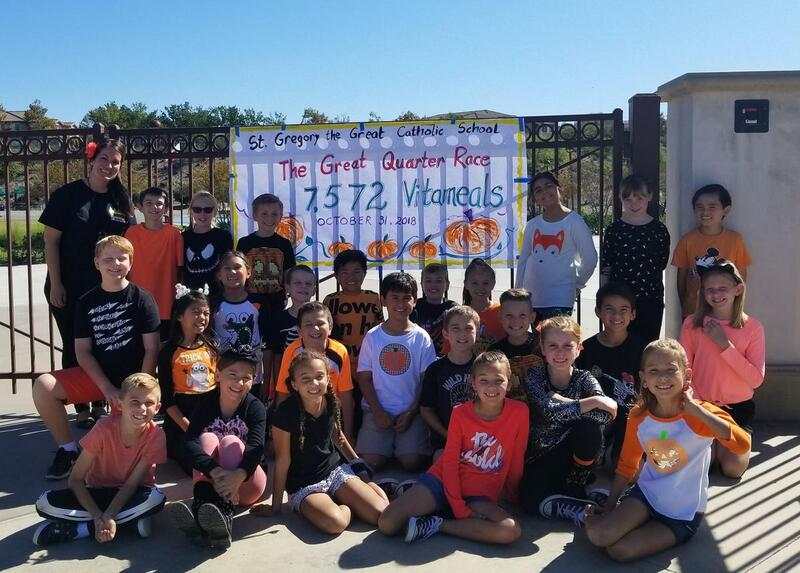 The students in 3rd grade continued their four-year streak of winning the "Race" by donating 1,510 quarters. Each quarter will provide a nutrient-packed vitameal for a hungry child. This year's total of 7,572 meals surpassed last year's donation by over 1,000 meals. Thank you, Guardians, for your compassion and generosity.